The day's ride aims to arrive in Rochester for about 4:30pm. 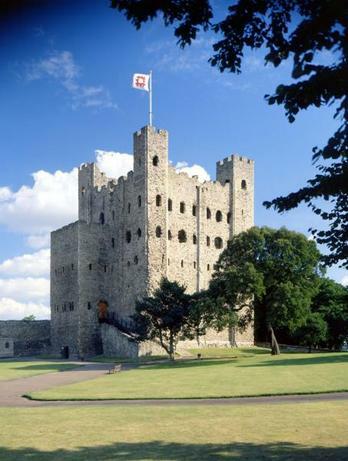 We cross the Medway and then finish in the centre of the old town by Rochester Castle. We'll load the bikes into our storage van here, and riders will go by bus to our hotel, so avoiding the two mile long uphill ride!! 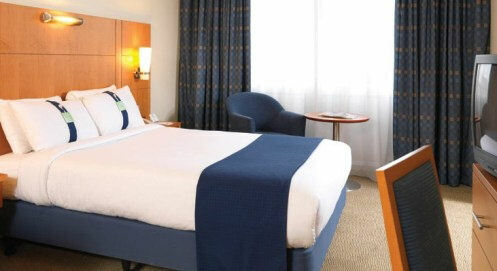 We're all booked into the Rochester Holiday Inn, a high quality four star property which has a pool and beauty salon. Our massage and aromatherapy area will be set up from your arrival until 7:00pm. We'll have a group buffet dinner at the hotel during which we'll review how the day went, and our planned timings for the next day's ride to Canterbury.